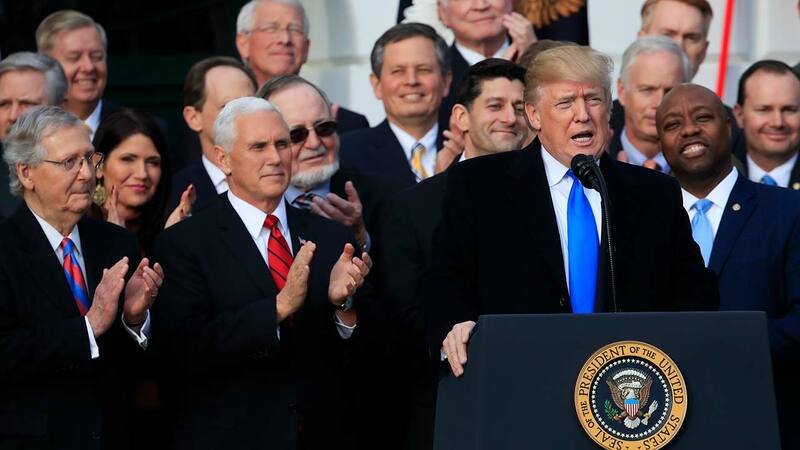 WASHINGTON -- President Donald Trump has signed into law a $1.5 trillion tax overhaul package. Trump touted the size of the tax cut, declaring to reporters in the Oval Office before he signed it Friday that "the numbers will speak." It is the first major overhaul of the nation's tax laws since 1986, but far from the largest tax cuts in American history as the president claims. Politically, it marks the Republicans' first major legislative accomplishment of Trump's presidency. Some estimates say the cuts could add to the nation's soaring deficit.